The holiday season is officially upon us! The onslaught of parties and recipe searching madness has begun. We thought we’d add our collection of our favorite Holiday mocktails and and non-alcoholic party drinks. Whether for Thanksgiving, Christmas, Hanukkah, New Year’s Eve, or any other holiday you’ve got going on, these are bound to get you through. No matter what kind of party you’re throwing, it’s always a good idea to have a few of these up your sleeve. 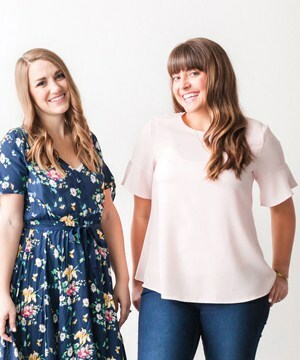 Whether you want to leave the alcohol out entirely, or you just want to plan for your designated drivers, expectant mothers or children at your bash, there’s definitely going to be a drink for you in this list. Have a gander and see what you like. The Holidays are a time for traditions and sometimes we just can’t get away from those classic recipes and flavors we know and love. It’s just not the same without them! Here are a few of those classic, can’t be without, holiday drinks. What is more classic Holiday than Red and Green? This Grinch Party Punch is sure to be a crowd pleaser, and looks just so cute. Don’t want to do it for Christmas? Easy. Swap out the sprinkles and kool-aid for any color your heart desires! Nothing says “Holiday Season” to me like a cold bottle of Martinelli’s! 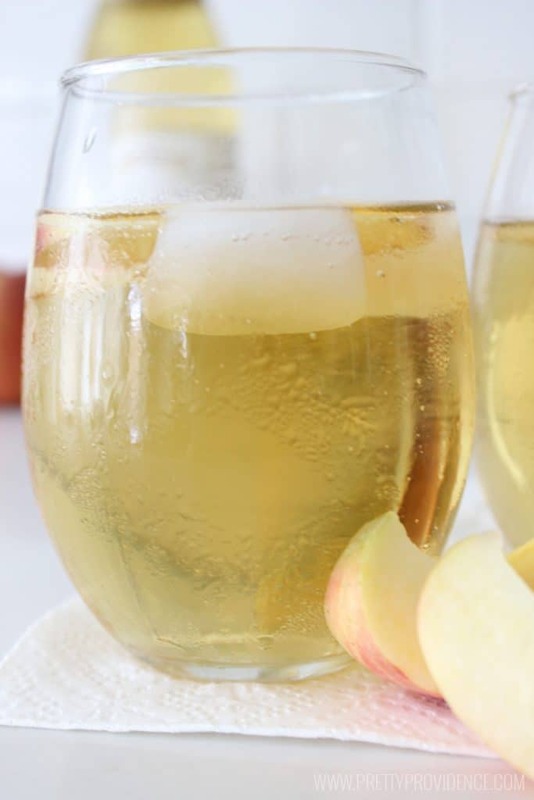 We’ve even perfected the Homemade Sparkling Cider version and absolutely love it. 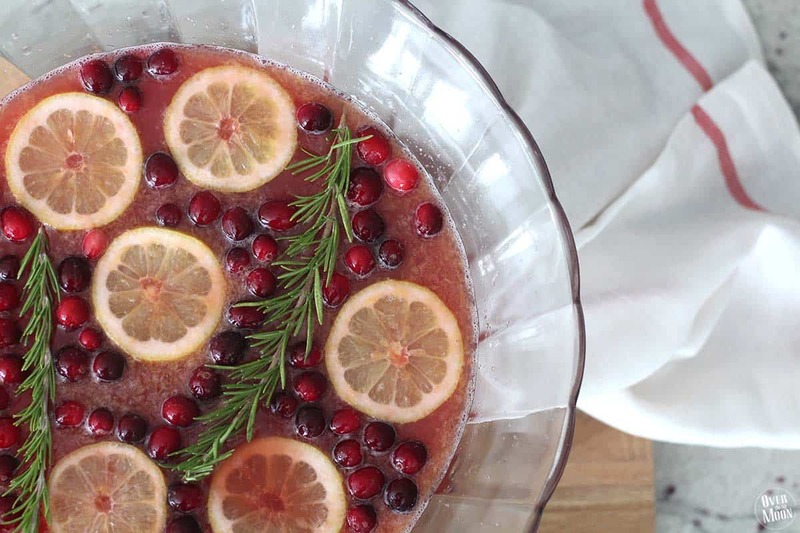 Our Cranberry Lime Spritzer is always a huge hit around the holidays! I personally cannot wait for Eggnog season. 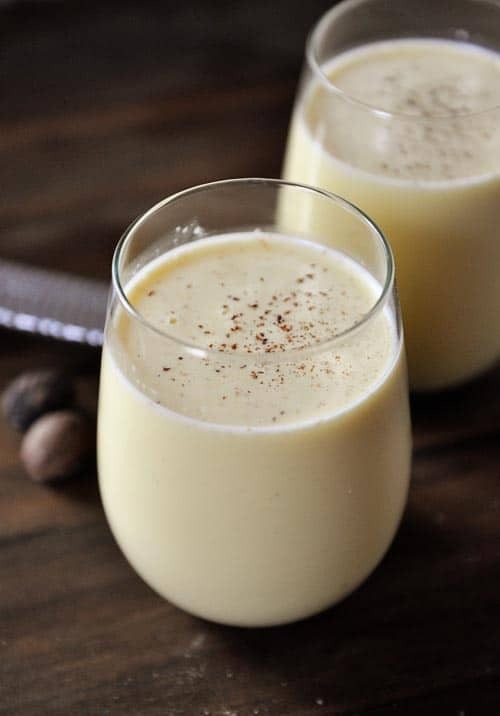 This Homemade Eggnog recipe looks like the perfect way to be able to bring it on even if the stores haven’t started stocking it yet. (Bonus: this recipe from Entertaining with Beth is not only alcohol free, but also has no raw eggs, so family friendly all around). If you’re not an eggnog person you’ve got to be a person that loves when Pomegranate 7-up comes back into play right?! This Pomegranate Drink Recipe from White on Rice looks like the perfect homemade version. PLUS since you control the recipe you also control the sugar content….for better or for worse. I have SO many good memories of drinking Wassail with my grandparents, it would be disrespectful not to put it on this list. You just need a good recipe like this one from Yummy Healthy Easy. This Perfect Holiday Party Punch from Over The Big Moon is so delicious and SO pretty! As the weather gets colder the drinks get warmer! Nothing warms the soul like a soothing cup of hot chockie. It fills in the cracks left behind by bad days, and keeps us warm till spring comes around again. But you can’t just keep making the same boring batch of cocoa right? Here are a few ideas of how to branch out your hot chocolate game. It is a truth universally acknowledged that cocoa is best made in the slow cooker. BUT. Add coconut deliciousness to that slow cooker and what do you have? 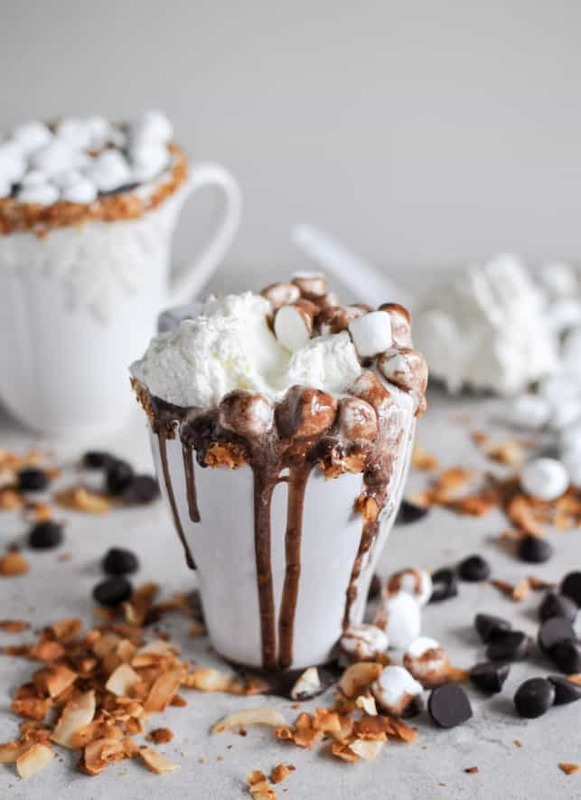 This amazing Slow Cooker Coconut Hot Chocolate from How Sweet Eats. Frozen Hot Chocolate. I know what you’re thinking, and no, this is not COLD hot chocolate. Wrong kind of frozen, I mean Frozen with a capital F. We’re talking blue and purple, sparkly, “Let it Go” Frozen. And it is everything every 6 year old girl has dreamed of. From All Because She Saved. Our Creamy Nutella Hot Chocolate is to die for. There is so much going on in this Peanut Butter Nutella S’mores Hot Chocolate from Cafe Delites I can’t imagine a world where people don’t go crazy for it. This Grinch Hot Chocolate from Cooking with Curls has a naughty and a nice version (aka alcoholic or nonalcoholic) and would look so cute against any Christmas decor. Because PUMPKIN EVERYTHING. Nothing says fall and early winter like a good old pumpkin flavored ANYTHING. We’ve pretty much mastered the desserts department by now, but did you know there are more pumpkin drinks than just pumpkin spiced lattes? Trust me. You’ve got to have a look at some of these. Let’s ease into it first. Not too far from your classic PSL, is the Pumpkin Hot Chocolate. We already know those two flavors go together like nobody’s business, and we have a super easy recipe to add that pumpkin spice to your life. I know Harry Potter is pretty much a Halloween thing, I get that, but am I the only one that loves to watch those movies at Christmas too? the Yule Ball, the Christmas morning presents, the snow scenes, it just works for me. I think this Pumpkin Butter Beer (like Harry Potter) is appropriate ANY time of year! I love this one from Our Family World. 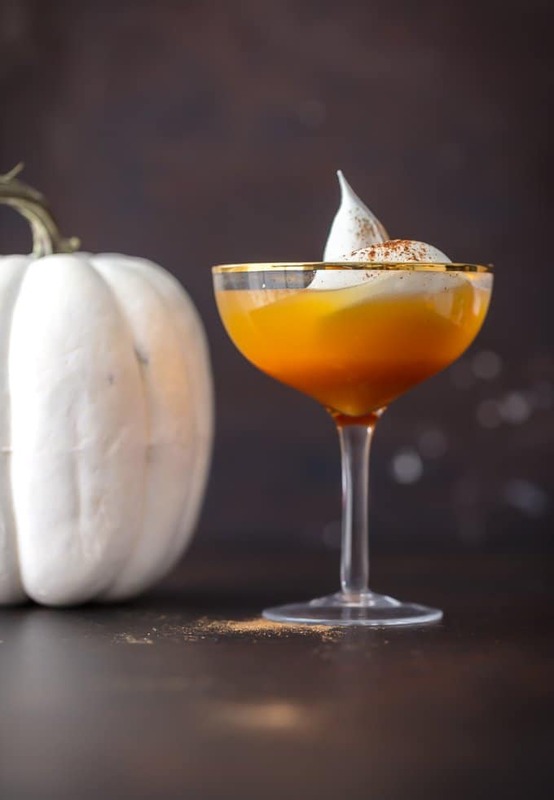 Have you ever thought what pumpkin pie in a glass would be like? Cause I’m pretty sure that’s what this Pumpkin Cream and Ginger Snap Mocktail from Great Taste Buds is. This Pumpkin Punch would look hecka classy next to your holiday table scape. I mean she’s just gorgeous. You have to take a look at what the Cookie Rookie has done for us with this recipe. I cannot wait to try this Spiced Pumpkin Cider from Plaid and Paleo. It’s basically apple cider but with pumpkin instead. A perfect way to bring out all those spicy holiday flavors we cannot live without. If Pumpkin wasn’t the most popular flavor of the holidays, I think it would be Apple next in line. It just feels like home doesn’t it? Walking into your mom’s house to the smell of an apple pie in the oven is basically the same as getting an hour long massage. If you can’t visit mom, try a few of these yummy drinks as a place holder. Good Old Starbucks, they’ve really perfected the holiday drink market haven’t they? Well if you dont have the time (or money) to schlep down there every day, try our Copy Cat Starbucks Apple Cider. It’s just as delicious for not even half the price. This Apple Moscow Mule from BevMo has only 4 ingredients! Now that’s a drink. She’s so easy and of course can be naughty or nice, depending on the type of ginger beer/ ginger ale you decide to use. Is Apple and Honey warm and cozy? or nice and refreshing? 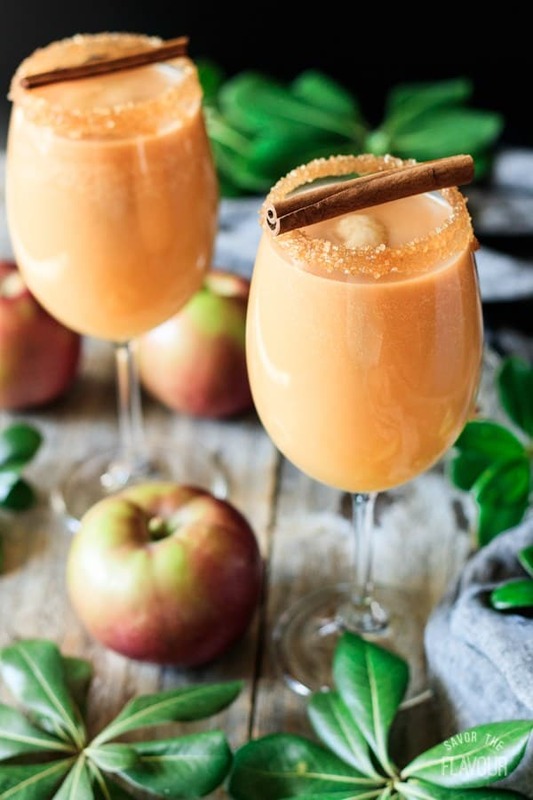 I can’t decide, but I love the complexity of this Apple and Honey Mocktail from Chai & Home. And when I say complexity of course I only mean the flavors cause this girl only has 4 ingredients too. If you want to go a bit more “candy apple” for the kiddos, you have to check out this Creamy Apple Mock-tini from Play Dates to Parties. The main ingredient is Jones Green Apple Soda, how delicious does that sound? 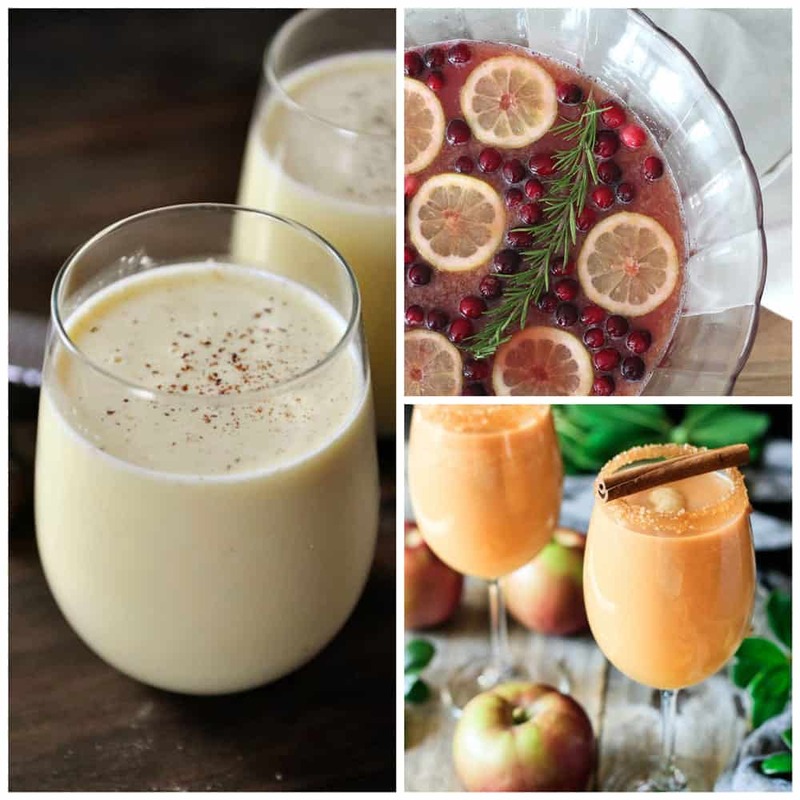 Yes, the caramel apple cider is delicious, but if your holidays are a bit too warm for that every day, give this Caramel Apple Mocktail a go from Savor the Flavour. It’s all that goodness in a cooler form. Make sure to check out our 20+ Amazing Non Alcoholic Party Drinks too!